Makhura said the land invasions that took place in Pretoria over the weekend were ‘well-orchestrated’. 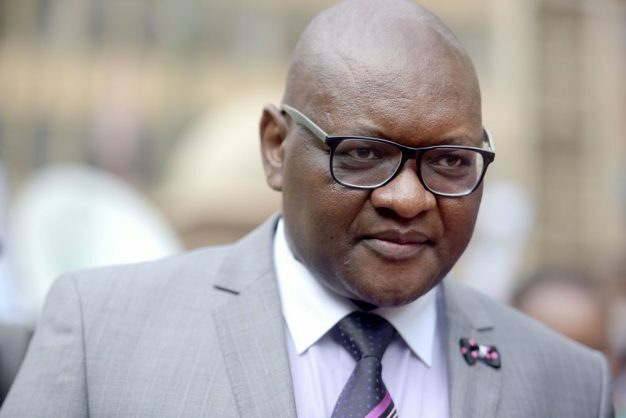 Law enforcement authorities are on high alert to deal with land invasions, Gauteng Premier David Makhura said on Tuesday. “As I have said before, there are many factors behind land invasion, these include financial gains made by those who sell land illegally as well as politically motivated land invasion. We will not allow illegal occupation of land in this province,” Makhura said. He said the province would not establish a special task force to deal specifically with land grabbers, but that the SA Police Services (SAPS) will work with metro police departments to tackle invaders. Metro police departments, he said, needed assistance from the SAPS to avoid resources being overstretched as land invasion incidents happened across the province at anytime. Makhura said the land invasions that took place in Pretoria over the weekend were “well-orchestrated”. “As police kept an eye on the elections registration this weekend, several land invasions took place in Tshwane. People arrived there in cars and started dividing and demarcating land,” he said. Gauteng metros were hit by land invasions over the past few days. Land grabbers, who identified themselves as shack dwellers, invaded open land along the R55 in Olivenhoutbosch near Centurion on Sunday as President Cyril Ramaphosa campaigned across Pretoria calling on residents to register to vote in the upcoming 2019 general elections. In another incident police had to fire rubber bullets to disperse people who invaded land in East Lynne, east of the capital city. Invasions also took place in areas such as Soshanguve. The Olivehoutbosch land occupation continued well into Monday, despite warnings from Ramaphosa that land grabbing was illegal and would not be tolerated. South Africa’s Parliament last month adopted a motion allowing land expropriation without compensation. The motion was tabled by the Economic Freedom Fighters (EFF) for the second time after it was shot down by the governing African National Congress (ANC) back in 2016. The EFF had encouraged people to occupy vacant land across the country. Party leader Julius Malema faced criminal charges in courts in both Bloemfontein and Pietermaritzburg for calling on people to occupy land.